YOUTH IN OREGON Q&A’s at the Music Hall and Playhouse. January 31, 2017 by Jordan D.M. Saturday, Feb. 4, after the 7:30 PM screening at the PLAYHOUSE 7: Moderator: Susan King of the Los Angeles Times. STRIKE A POSE Q&A’s at the Fine Arts with Madonna Dancers. Perez Hilton will Host Friday. 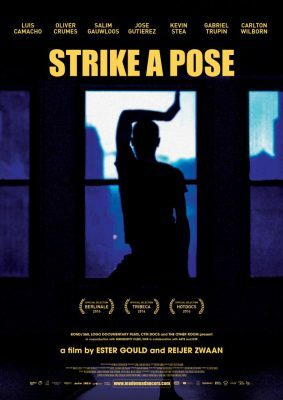 All 7:30 PM screenings of STRIKE A POSE will feature Q&A’s with dancers featured in the film. Perez Hilton will host on Friday, January 27. IN PERSON: Alan Alda, Carol Burnett, and Bess Armstrong Following our 35th Anniversary Screening of THE FOUR SEASONS on 1/24 at the Royal. January 16, 2017 by Benjamin G.
Alan Alda, actress Carol Burnett, and actress Bess Armstrong will participate in a Q&A following our 35th Anniversary screening of THE FOUR SEASONS on Tuesday, January 24, at 7:00 PM at the Royal Theatre. Click here to buy tickets now SOLD OUT. THE FOUR SEASONS was one of the biggest box office hits of 1981. This wise dramatic comedy written and directed by Alan Alda centers on three long-married couples who have vacationed together for many years. But their friendship is threatened when one of the men leaves his wife for a much younger woman, which causes the others to examine their own relationships. Alan Alda is best known for his starring role in the smash hit TV series, MASH, which ran from 1972 to 1983. But he has also appeared in many feature films, including Paper Lion, Same Time Next Year, California Suite, The Seduction of Joe Tynan (which he also wrote), Woody Allen’s Crimes and Misdemeanors, Flirting with Disaster, The Aviator (for which he earned an Oscar nomination), and Bridge of Spies. He wrote and directed several other films, including Sweet Liberty and Betsy’s Wedding. He returned to television with a recurring role in the award-winning series, The West Wing. 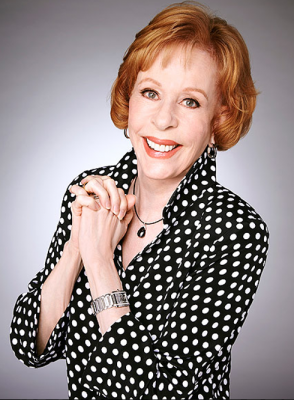 Carol Burnett starred in one of the most popular and beloved television series of all time, The Carol Burnett Show, which ran from 1967 to 1978. She has excelled on stage, on screen, and on television. Other films include Pete ‘n Tillie, Billy Wilder’s The Front Page, Robert Altman’s A Wedding, Annie, and Noises Off. She won an Emmy for her recurring role on the popular sitcom, Mad About You, and played a number of dramatic roles as well. 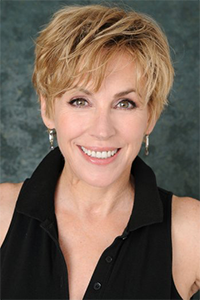 Bess Armstrong made her feature film debut in The Four Seasons after starting out in television. She went on to co-star in High Road to China, Jaws 3-D, Nothing in Common, and the TV series My So-Called Life and House of Lies, among many other credits. For more about our Anniversary Classics Series, including an upcoming screening of GUESS WHO’S COMING TO DINNER, visit www.laemmle.com/ac and join our Facebook Group. ARSENAL Cast & Crew Q&A with Adrian Grenier Friday Night at the Music Hall. January 5, 2017 by Jordan D.M. ARSENAL director Steven C. Miller will introduce the 7:20 PM show at the Music Hall on Friday, January 6, followed by a post-screening Q&A with actors Adrian Grenier and Johnathon Schaech. Q&A with NERUDA Star this Saturday at the Royal. January 4, 2017 by Jordan D.M. NERUDA star Luis Gnecco will participate in a Q&A after the 7:10 PM screening at the Royal on Saturday, January 7. Caroline Miranda of the Los Angeles Times will moderate. An Evening with Shirley MacLaine, January 11, at the Music Hall 3 in Beverly Hills. 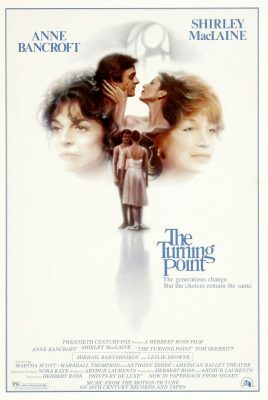 January 4, 2017 by Benjamin G.
An Evening with Shirley MacLaine and 40th Anniversary Screening of THE TURNING POINT (1977) on Wednesday, January 11, at Laemmle’s Music Hall at 7 PM. Click here to buy tickets now. 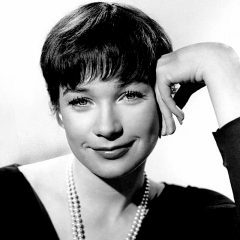 On January 14 the Los Angeles Film Critics Association will present its Career Achievement Award to Shirley MacLaine, Oscar-winning star of stage and screen for the last 60 years. In conjunction with that event, the Anniversary Classics series offers an intimate conversation with MacLaine, along with a 40th anniversary screening of her award-winning film, THE TURNING POINT. The movie was nominated for 11 Academy Awards in 1977 and won Golden Globes for best drama and best director Herbert Ross. Screenwriter Arthur Laurents won the Writers Guild award for best original screenplay. Both MacLaine and co-star Anne Bancroft were Oscar-nominated for their performances in the film, and dancers Mikhail Baryshnikov and Leslie Browne also received nominations for their supporting roles. THE TURNING POINT tells the story of two friends who started out together as dancers in a national ballet company (modeled on American Ballet Theatre). Bancroft’s character became a prima ballerina while MacLaine’s character chose to give up her career and raise a family. When MacLaine’s daughter (played by Browne) launches her own career as a dancer, the two women examine the life choices that they made two decades earlier, and long buried jealousies and resentments come to the surface. After starting as a dancer on Broadway, Shirley MacLaine made her film debut in Alfred Hitchcock’s The Trouble with Harry in 1955. She earned her first Oscar nomination when she co-starred with Frank Sinatra in Some Came Running in 1958. She earned two more nominations for her performances in Billy Wilder’s The Apartment (1960) and Irma La Douce (1963). She won the Oscar in 1983 when she starred in James L. Brooks’ Terms of Endearment. Among her many other films are Around the World in 80 Days, Ocean’s Eleven, The Children’s Hour, Sweet Charity, Being There, Steel Magnolias, Postcards from the Edge, and more recent turns in Richard Linklater’s Bernie with Jack Black and Elsa & Fred with Christopher Plummer. 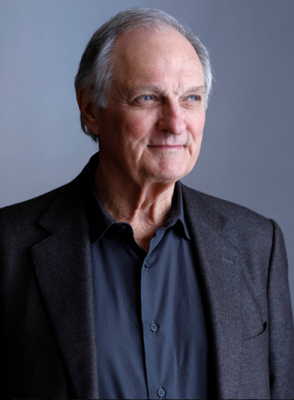 For more about our Anniversary Classics Series, including an upcoming evening with Alan Alda, visit www.laemmle.com/ac and join our Facebook Group. RETAKE Cast & Crew Q&A’s this Week at the Royal. January 3, 2017 by Jordan D.M. RETAKE actors Tuc Watkins and Devon Graye, writer-director Nick Corporon, producer Sean Mandell and cinematographer-producer Collin Brazie will introduce the 7:30 PM screening on Thursday, January 5 and the 9:55 PM show on Friday, January 6. Dave Karger will moderate. SLASH Cast & Crew Q&A Opening Night at the NoHo. December 13, 2016 by Jordan D.M. SLASH actors Michael Johnston, Hannah Marks, and Angela Kinsey, writer-director Clay Liford and producer Brock Williams will participate in a Q&A after the 7 PM screening at the NoHo 7 on Friday, December 17.